Posted by admin on Oct 11th, 2018 and filed under Last-Line. You can follow any responses to this entry through the RSS 2.0. Both comments and pings are currently closed. In those days in the early 80s when I visited one of my Aunties in Lagos, she usually asked me to accompany her to the market, with me carrying a plastic basket which she threw in whatever she bought. And there were two particular markets she takes me to. They are Aswani and Jankara markets. But I developed a particular interest in Jankara market. While in Aswani you see mostly food stuffs and clothings, in Jankara market nearly everything possible is sold there. Infact, as you approach the market you see people who will rush to you asking if you needed anything. In the market they sell from Bible to even human faeces. In Jankara market Lagos, there is nothing under the sun that is not sold there, at your own request. In the past three weeks now, Democracy has been turned upside down in my beloved State, Imo. We were told that Democracy is the Government of the people, for the people and by the people. But in Imo, Democracy has been reduced to the Government of the highest bidder. In Imo State now, we have what we call “Jack-Boot” Democracy, where the more you look, the less you see. The Government of the majority has been reduced to Government of “who are you” in Imo State. In the process to grab Imo State for themselves, politicians are gradually alienating the populace who ought to be the harbingers of Democracy. Much as we know that power is not given but taken, such a situation follows due process as stipulated by various political parties who produce candidates for elections. Since the advent of Democracy in Imo State, this 2018 debacle is quite different from what we used to witness during the past eras that produced elected representatives for the people. The 2018 election primaries in Imo have baffled everybody, including the players too, as they are out-witted by their own party members. Right now in Imo State, all the political parties have fowled the air, except for the Peoples Democratic Party, PDP, where sanity reigns, following the party’s quiet, smooth and transparent way it handled its primaries. Although the man who lost and embraced the winner has since went to court to challenge an exercise he described as free and fair. But that cannot be said of some of the major political parties like the ruling All Progressives Congress APC, and the All Progressives Grand Alliance, APGA. The bad omen that hit APGA in Imo State was never envisaged, except some pundits like yours truly, who saw the deluge of top politicians running into APGA as not an advantage, but a time bomb waiting to explode, because in the end only one person will emerge as the Governorship candidate among the legion of Aspirants jostling for that sole Diadem. Today, the chicken has come home to roost. The Imo APGA is now in tatters, even though those who benefited from the implosion assume that all is well with the party. For the first time in Imo, APGA which many see as the “Back-Street” party, where disgruntled politicians find solace, turned a beautiful bride for noted Imo top politicians, who all arrived APGA with just one ambition; Governorship. They include former Governor Ikedi Ohakim, Transport guru Frank Nneji, Hon Uche Onyeagocha, Chief Charles Onyeagbako, Chief Nick Oparandudu, Chief Daniel Kanu, Chief Obi Njoku, Bar Ike Ibe, Bar Humphrey Anumudu, Chief Okey Eze, Senator Bright Nwanne, and too many others. At a time it was as if Imo APGA was populated by only Aspirants for Governorship ticket, as nobody was ready for other positions like House of Assembly, Senate and Federal House. It was this over-bloated nature of Imo APGA Governorship Aspirants that gave a hint that certainly Imo APGA at a point would break from the seams due to too much weight of its numerous Governorship hopefuls. At this point, men with the third eye saw that something must give in Imo APGA. Those already in the party eyeing the Governorship ticket were confident that Araraume’s entrance into APGA just days before the party primaries was a handicap for the serial Governorship contestant. But when the Imo APGA primaries turned to “Jankara Market”, it became a survival of the fittest contest. APGA which many thought was upright and focused collapsed at the altar of “anything goes”. Aspirants and members ran into confusion and became rudderless. But only a few who got their eye fixed on the “Goods” and had the purchasing power knew where the market was located. In the end, it came to pass that Senator Ifeanyi Araraume has been anointed the Governorship candidate of APGA in 2019 election in Imo. While a legion of the party’s Governorship Aspirants were still busy shouting themselves hoars, and yet to comprehend what hit them, the likes of Chief Ikedi Ohakim reacted quickly from the shock and “Jankarad” the Accord Party Governorship ticket. Now, with the INEC date of submitting names of candidates closed, these APGA Aspirants whose Ruggs were pulled off their feet should now wait for 2023, as they were not smart enough to locate the “Jankara Market” like Ohakim and Araraume. And the issue of All Progressive Congress APC Imo State is more pathetic. APC in Imo State has been so battered and violated that had it been a woman it would have since ran back to the parents or elope elsewhere for safety. With Governor Rochas Okorocha’s style of Governance which does not differentiate between personal property and public Establishments the Governor converted Imo APC to a private Enterprise. This was the situation until a concerted opposition within the party fought him to a standstill and took over the party’s structure in the State, with Dr Hillary Eke as chairman. But Okorocha boasted that whenever his friend, Adams Oshiomole was elected as the National Party Chairman he would recover all his lost Kingdoms. And true to Okorocha prophesy, ever since Oshiomole became APC National Chairman, any action taken by the party in Imo State without Okorocha’s signature is doomed. Under this “Jankara” set up, Okorocha would easily go to Abuja to procure his own panel at any time to do his biddings. Because of this “Jankara” business, the Imo APC now has parallel candidates in all the various elective positions in the State. The party had sent Alhaji Gulak to conduct APC Governorship election in Imo State. Suddenly, it was everywhere that Senator Hope Uzodinma emerged the APC Governorship candidate. Unfortunately, the chairman of that panel, Gulak disappeared in Imo State and reappeared in Abuja, where he submitted Uzodinma’s name claiming he escaped by the whiskers from Imo State in the hands of Kidnappers. Okorocha rejected this result since it did not carry the name of his anointed son inlaw, Uche Nwosu, as the winner. The Governor headed to Abuja, where a “Jankara Panel” was procured and another exercise called Imo Governorship primaries was conducted with Uche Nwosu as the APC candidate. And this was after the same Uche Nwsou was announced earlier as the winner, before the “Jankara Panel” arrived Imo to conduct another fresh primary. As we write now, Uche Nwosu and Hope Uzodinma are Governorship candidates of APC. Prof Nnamdi Obiareri and Senator Benji Uwajumogu are candidates for Okigwe Senate and Kingsley Uju and Nana Opiah are both candidates for Ohaji/Egbema/Oguta/Oru West. And so it is in all the positions down to the House of Assembly. And this is what we call Democracy in Imo, under Okorocha’s formula of “I no go gree” politics, which many fear may tear Imo State apart. Already, a senior official in Imo State had warned that blood will flow if a certain Governorship candidate is not sworn-in in 2019. Is this the type of Imo we expect in 2019? In a Democracy, the majority are always allowed to have their way while the minority have their say. In a Democracy there is always a time limit at which periodic elections are held for the electorate to either vote in or out the candidate, depending on their performances in the given period. But from what is happening now in Imo, the electorate may not be given the chance to express their civic rights which may be catastrophic to the system and the people. Meanwhile, under this Jack-Boot and “Jankara” Democracy in Imo State, the Peoples Democratic Party PDP, seems to be the only hope for sanity in the system. 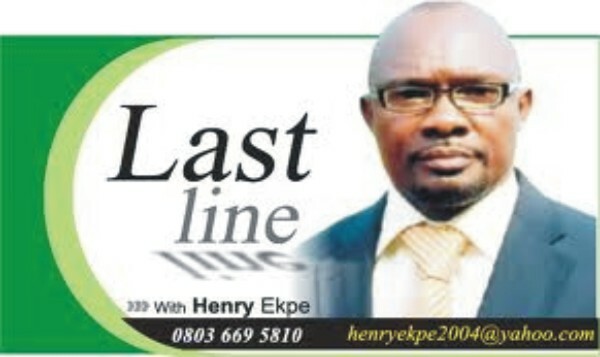 The PDP has proved to have learnt from its past mistakes. The party is the only political party in the State that has restored sense of responsibility to the suffering Imo masses. The party has produced Rt. Hon Emeka Ihedioha without any “Jankarad” manipulations with the loser embracing the winner. There is peace in Imo PDP, an indication that the party is the solution to the myriads of devastation wrought by the out-going Okorocha’s “communal” administration that has left more burden than it met, for the next Governor of Imo State. From all indications, the Imo masses have resolved to work with PDP and its candidates in the 2019 elections. But while the Imo masses savour the PDP “Victory” by conducting a free and fair primary commended by all, Senator Sam Daddy Anyanwu has shocked many including his supporters by heading to court to challenge Rt. Hon Emeka Ihedioha over the same primary he deemed transparent after hugging the winner. Though that may sound surprise to Imo PDP members, but from all indications, it will not stop the impending victory for PDP in the general elections, as he who goes to equity must have clean hands.